Islamic State militants have downed a military helicopter near Palmyra, Syria, killing two Russian pilots on board. The helicopter had been attacking the advancing terrorists at Damascus’ request when it was taken down, according to the Russian defense ministry. 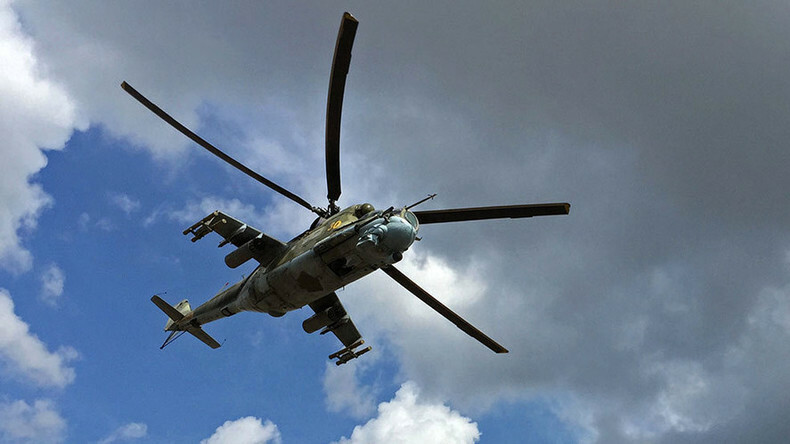 “On July 8, Russian military pilot-instructors Evgeny Dolgin and Ryafagat Khabibulin, were conducting a calibration flight on a Syrian Mi-25 (export version of the Mi-24) helicopter loaded with ammunition in the province of Homs,” the official statement from the Ministry of Defense reads. The Ministry of Defense stated that due to the skillful actions of the crew the terrorists were thrown back and the attack had been thwarted. However, their helicopter was shot down by terrorists as it was turning to head back to the base. 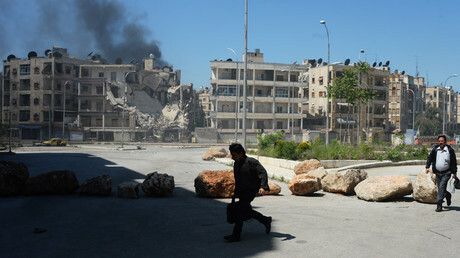 “Having spent their ammunition, while turning back to the base, the helicopter was shot down by terrorists from the ground and crashed in an area controlled by the Syrian government. The crew did not survive,” Russia’s defense ministry said, adding that both pilots will posthumously receive state awards for their actions. Russia’s Interfax news agency reported, citing a source in the Russian military, that the helicopter had been downed with the aid of an American TOW antitank missile system. “According to reports, terrorists used the American TOW system to down the helicopter, which, having exhausted its ammunition, was on the course back to the base at an extremely low altitude,” the source is quoted as saying. Friday’s tragedy puts the number of Russian military casualties in Syria at 10. In June, serviceman Anton Erygin suffered fatal wounds after falling under militant fire while guarding a Russian center for reconciliation convoy in Homs province. Earlier in April, Russia paid its respects to Lt. Aleksandr Prokhorenko, who called in artillery fire on his own position after being surrounded by the terrorists near the Syrian city of Palmyra. Prokhorenko, dubbed ‘Russian Rambo’ by international media, was awarded the title of Hero of Russia for his feat.